How to plan outfits for a holiday? First things first, make a packing list! Once you have answered all the questions here we can move forward. With the perpetually increasing baggage costs, I try my best to travel light and maximize on getting as many outfits my mixing and matching. Separates e.g. tops, blouses, shorts, jeans, skirts, etc. Jeans & Sneakers - These are my travel jeans. They are light weight, loose fit, comfortable and dark wash. Hence, perfect for travel. As you can see I often wear sneakers while traveling, as I have to change planes, rush from one terminal to another and the last thing I want is, my feet coming in the way to my holiday! I might not look cute, but thats not my priority here. 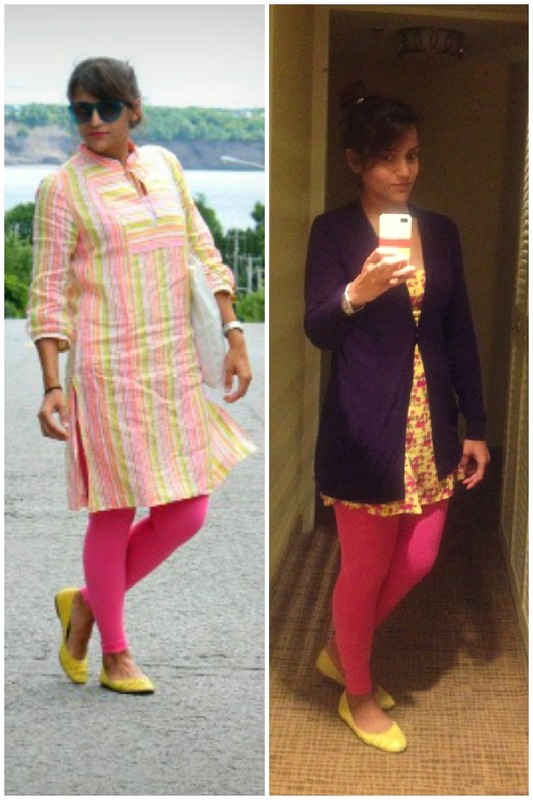 Light weight dress - I prefer light weight dressed while traveling, preferably which do not need to ironed. As you can see I wore it on two occasions, once as a dress and again as a top. 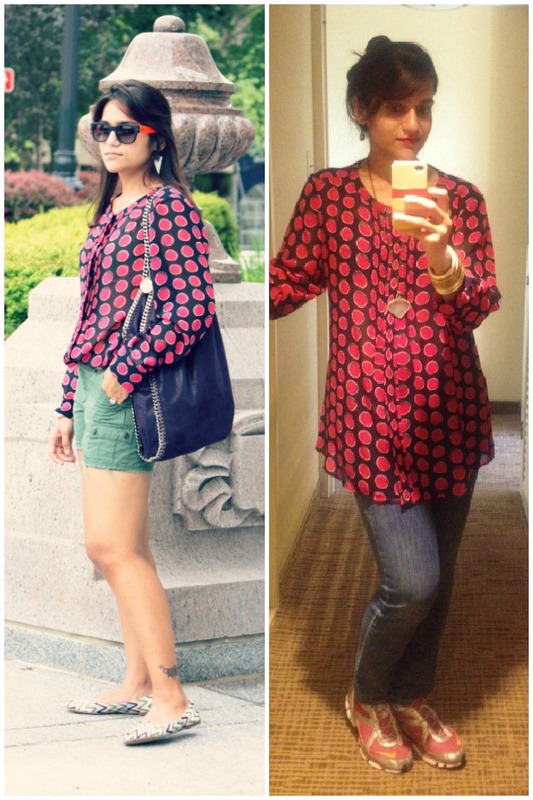 One cute look and another one comfy! 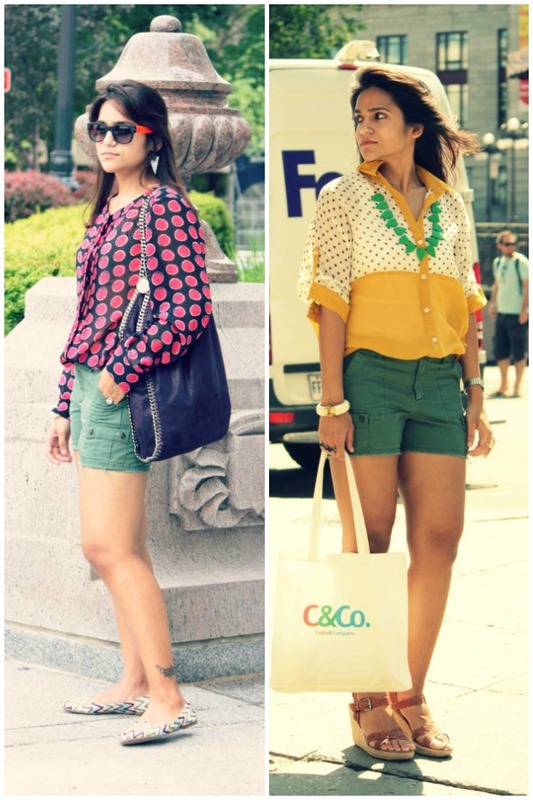 Shorts - I like to carry neutral color shorts which pair up well with any color top. You can dress them up or down with accessories and footwear, as need be. Leggings - Most comfortable piece of clothing, while traveling. Now I wore is the same one, thrice on this trip. Paired it with a tunic and then again with a short dress below. And again with a chambray shirt (if you scroll down). They are a good companion to have when it is not warm enough for shorts, and neither cold enough for jeans. 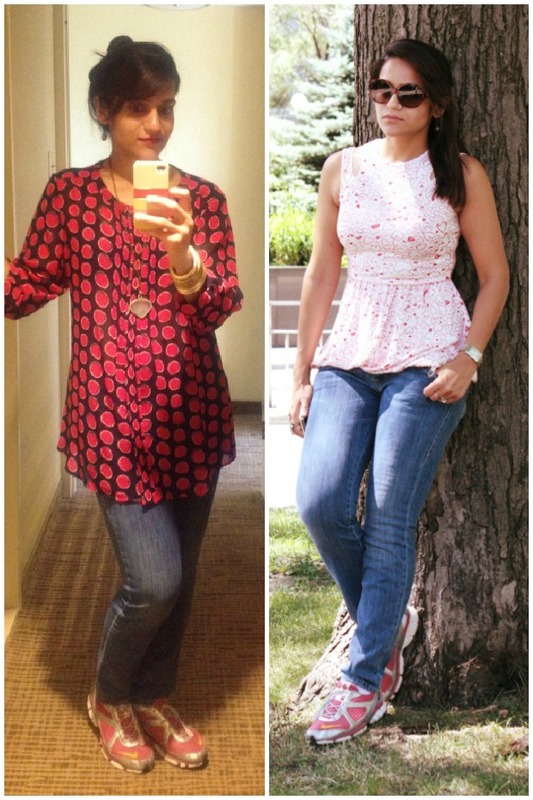 Polka dot/Striped Blouses - I am a fan of over sized tops/blouses. Now I picked up this from Banana Republic Sale this spring and it is "large" in size. 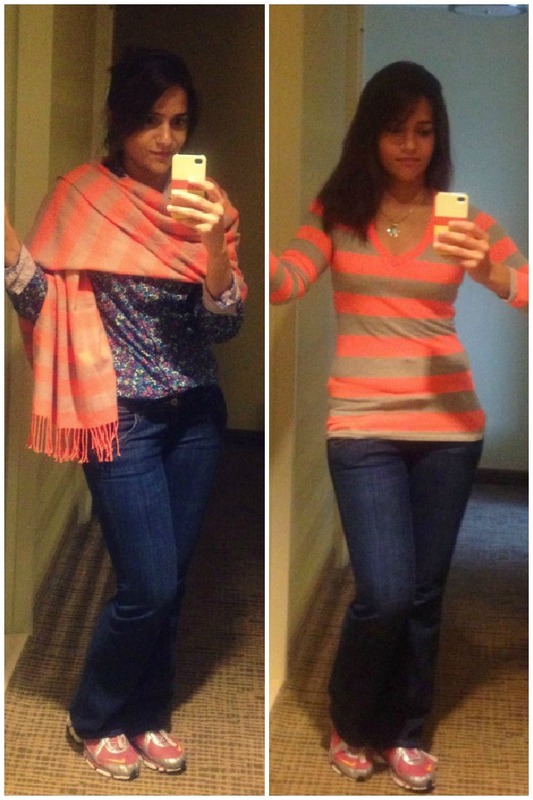 Two of me could fit into one, but since I like the slouchy fit, I can pair it over anything and/or tuck it in to give it some definition. A gem to carry, while traveling. 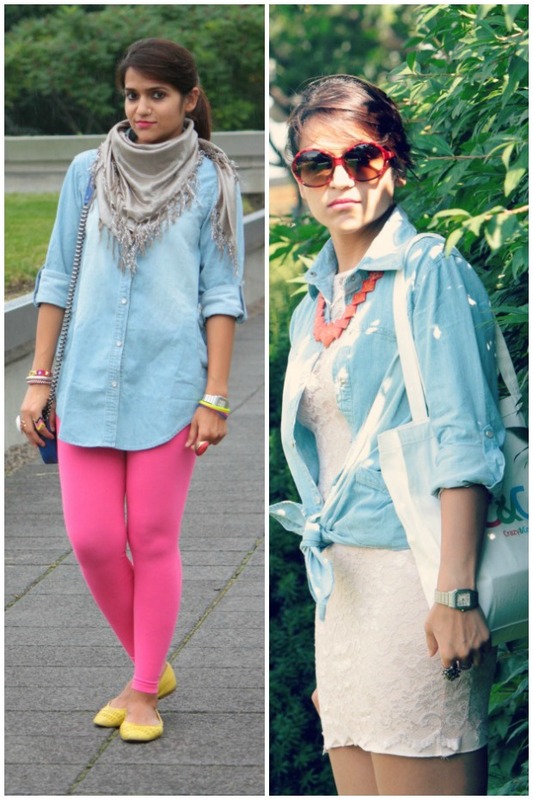 Chambray Shirt - Same rules apply as the Polka dot/Striped Blouse above. The first look is with the leggings (as seen in 2 different outfits above as well) and the second time I am wear the shirt over a (light weight!) lace dress to create a day look. I could easily wear the same dress, in case I needed to at night and just remove the shirt and swap my sneaker for high heels. Comfortable Jeans - These are separate from the travel ones. A pair of light and comfortable jeans for all those times when nothing else works. Wear them with tee, blouse, shirts or just wear a dress and tuck it in, like I did. There are truly no end to how may outfits with you can create here. I hope this post helps you travel light on your next trip.